Although there are many other hair trends making their way into the upcoming fall and winter seasons, one that continues to be a favorite among many people is the ombre hair coloring technique. Whether you’ve already tried it a few times and you’re looking for a bit of creative inspiration or you’ve never had it and you’re wondering which look will be truly unique on you, we’re confident that you’ll find just what you’re looking for in the following fun and sultry-looking ombre hairstyles. 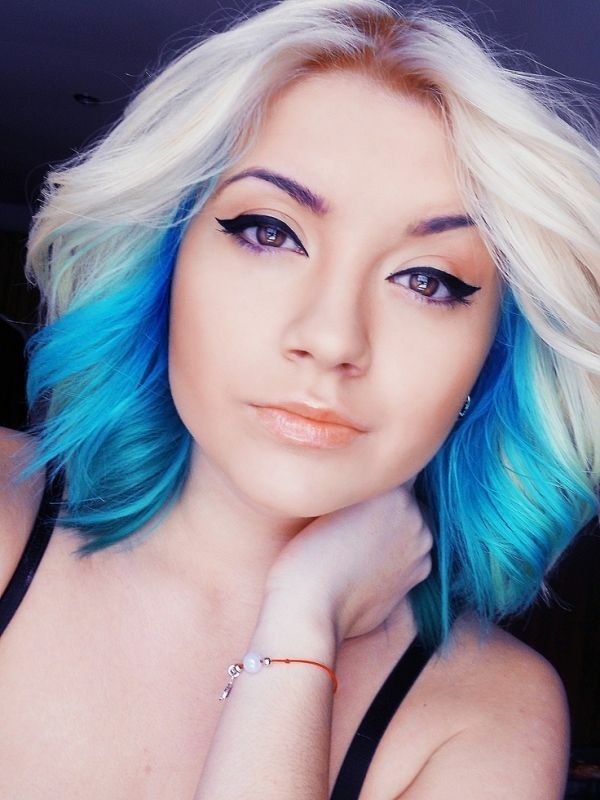 Here’s a nice ombre look for women who are a bit more on the conservative side. 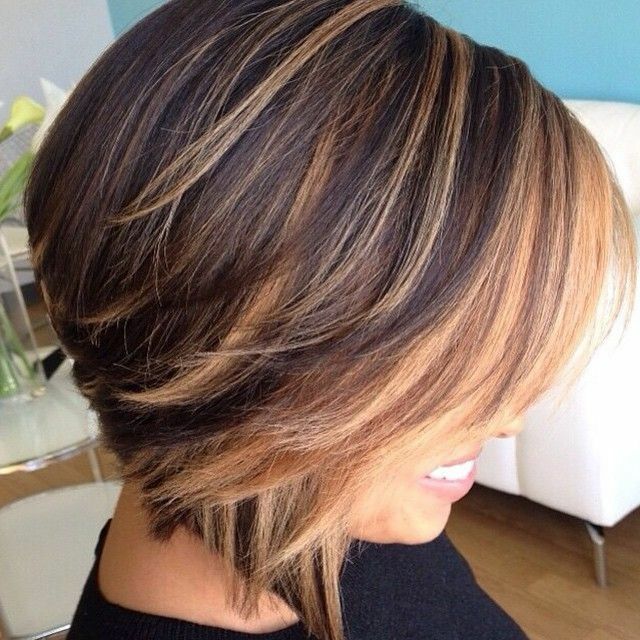 A blonde ombre is especially beautiful on a haircut that has a lot of layers like an A-line bob. If you work in corporate America, it might be a bit difficult to pull of a bright blue and platinum ombre. But if you’re a college student or freelance worker…this might be just what the doctor—um, your fashion stylist—ordered. One of the big winter color trends this year is buttery blonde. That’s why we’re featuring this light brown and buttery blonde combo. The cut, hair texture and hair color all go so well together. It’s lovely indeed. 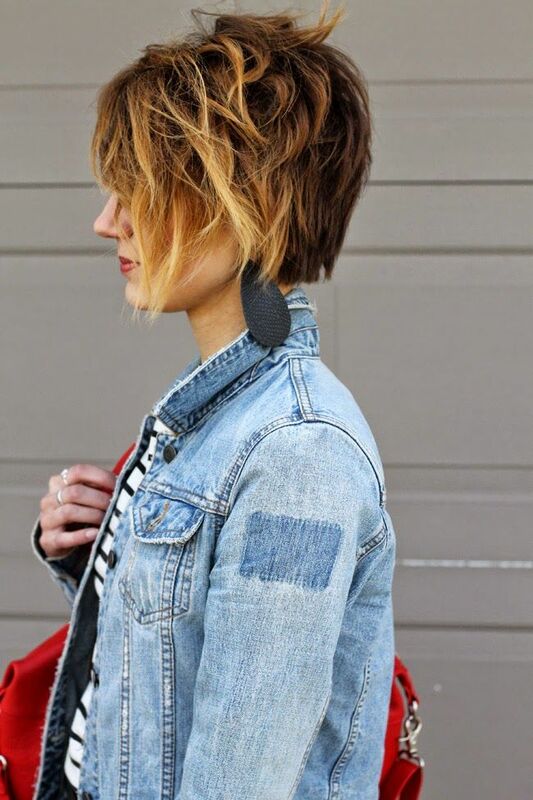 Here’s something else that you can do with an A-line bob or any cut that has layers. You can add some maroon to it. It’s really bold on blonde hair and very subtle on darker hues. Out of all of the ombre looks featured here, this is probably the most traditional one. It’s easy to see why it’s considered to be such a classic. 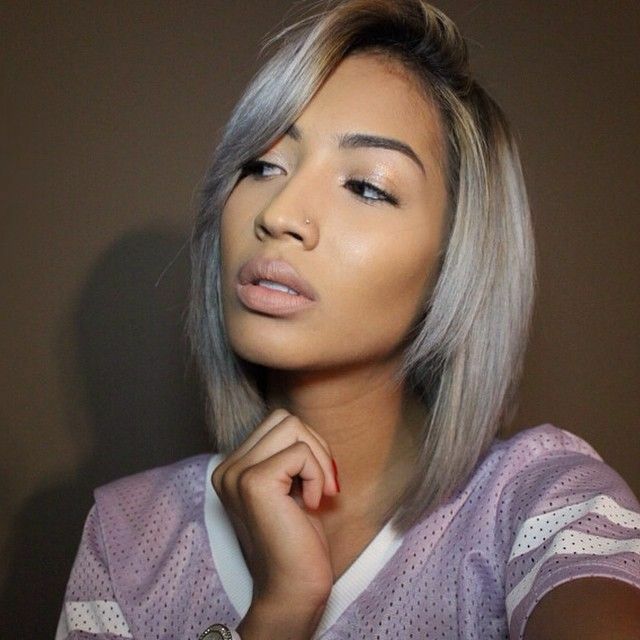 For the past couple of seasons, many women have been dyeing their hair some shade of grey. 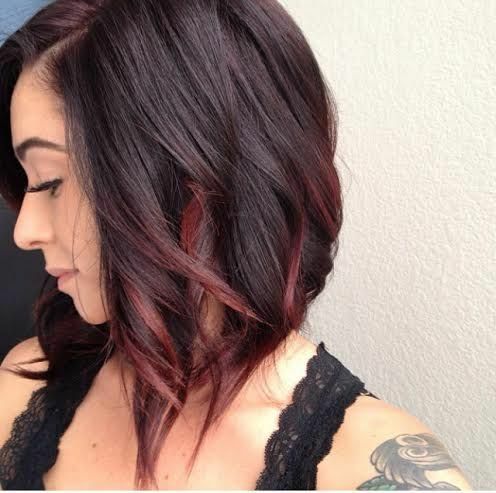 Our personal favorite is when it’s in an ombre look like this lob. 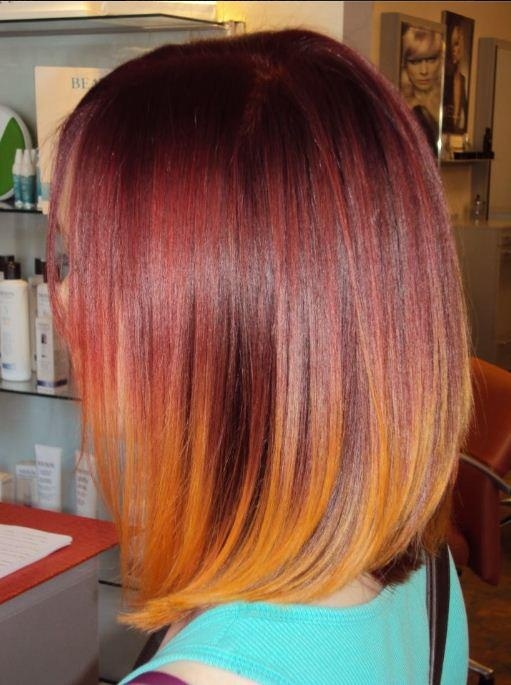 If you already have the classic ombre look and you want to take it up, just a notch, how about going with a tri-tone look like this one? It’s like “wearing summer in your hair” in the dead of winter. Shags are in and here’s an awesome way to modernize it. The picture pretty much says it all. 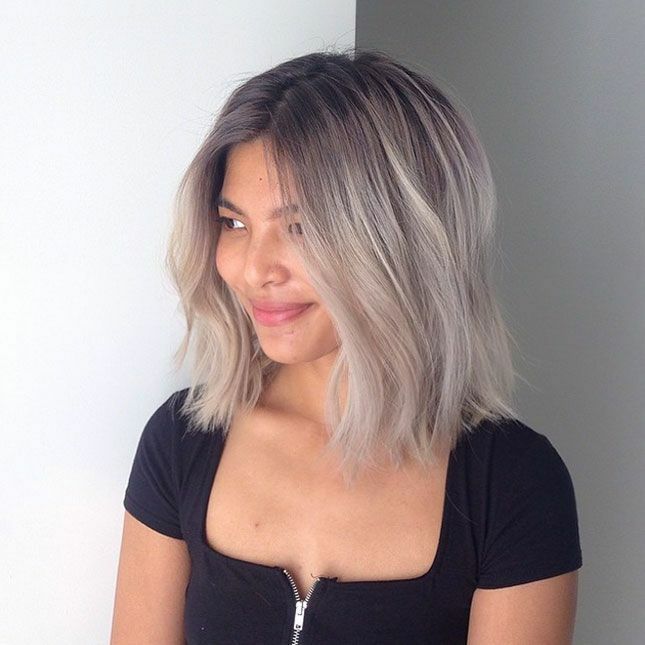 If your hair is naturally wavy and you like looking like you’ve just spent a day at the beach, how about wearing a platinum ombre like this one? Oh, how rich and healthy her hair looks! It’s enviable on so many different levels. Plus, it’s the caramel color will look good on any woman of any age. She’s killin’ it, ain’t she? 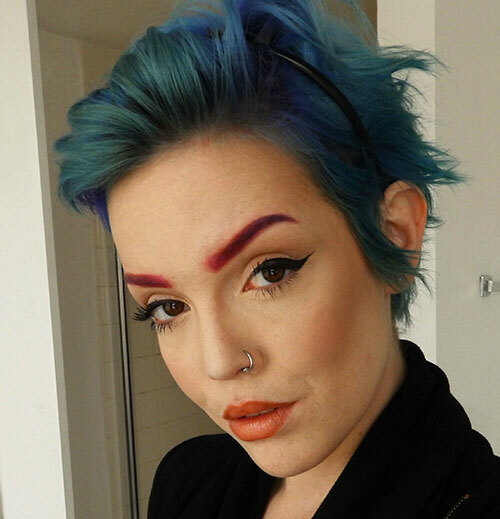 Yeah, if you have a pixie or Mohawk cut, consider a multi-colored ombre—even if it’s only a temporary color treatment. Various shades of purple have been around for a while now. 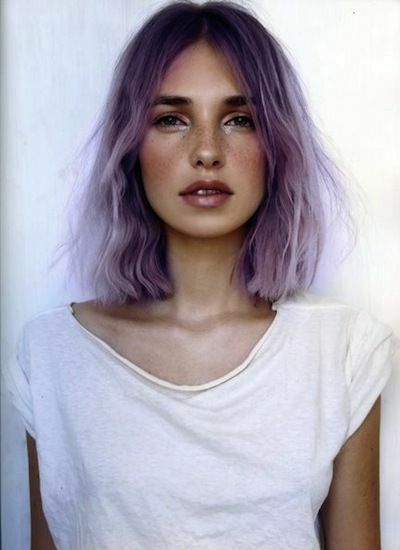 That’s why we had to include this lavender ombre look. This was almost our feature pic! 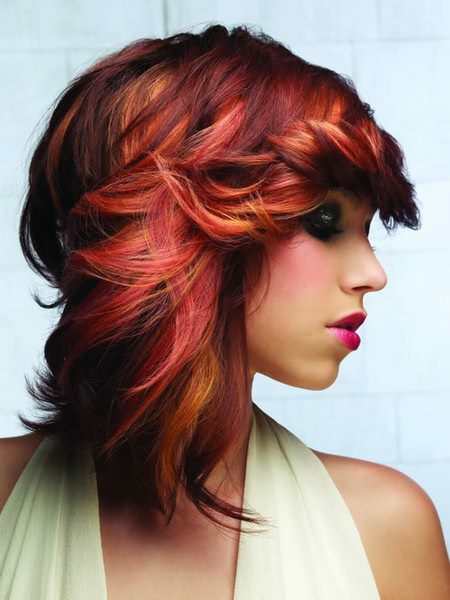 The cut, the tri-tone reds…everything about this look is…EVERYTHING! 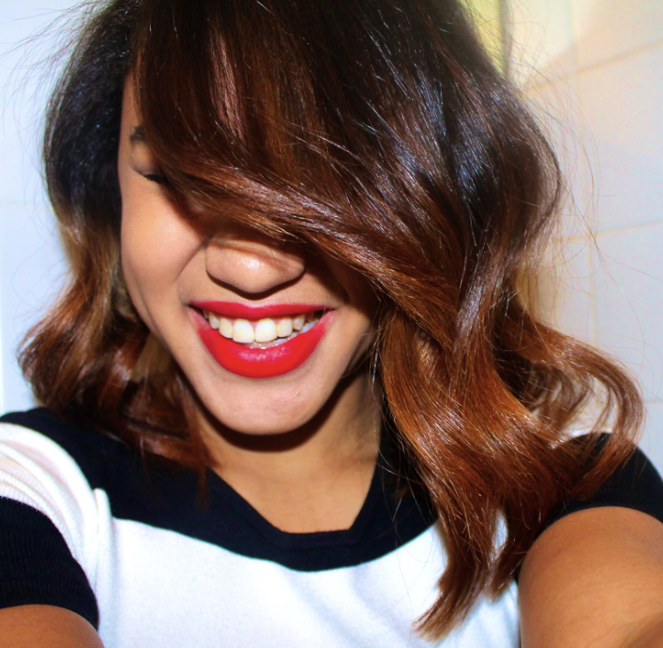 Even if you’re a woman with naturally curly hair, the ombre style is still something that you can try. We recommend going with a really light brown or blonde. Her long locks literally look like they’re on fire. There’s something that is super duper HOT about that! 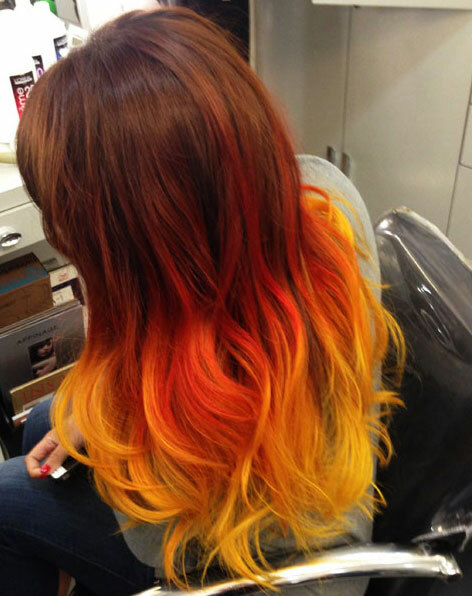 Basically this red and yellow ombre is a more…toned down version of the ombre technique that you just saw. 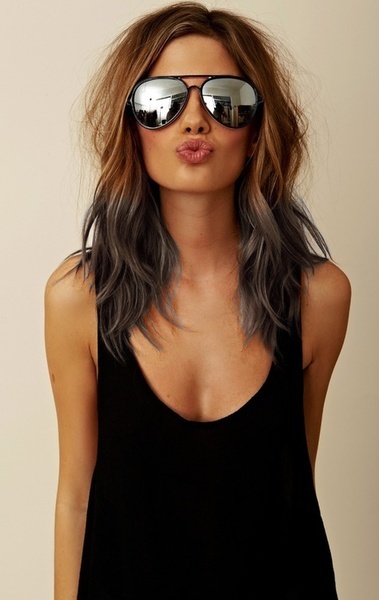 Although we already shared what a gray ombre look looks like, this silver one had to be shared as well. Just think of how much depth and sheen it will bring to your hair if it’s bone straight. 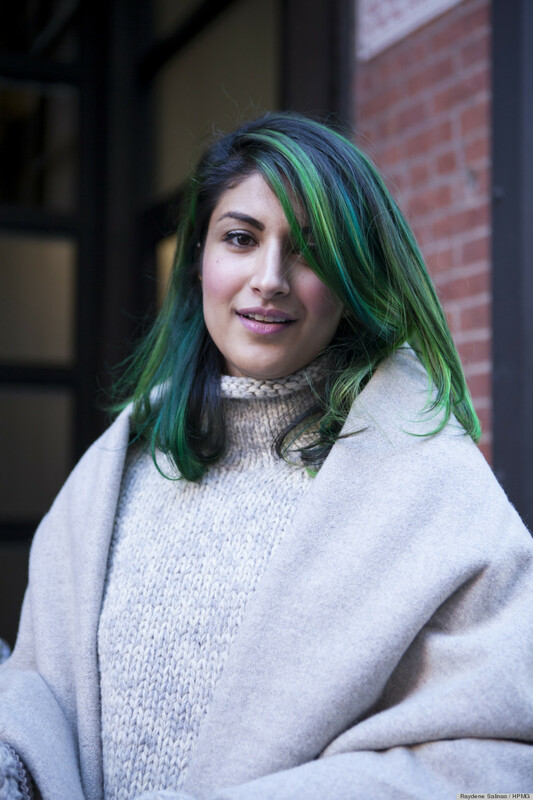 We are willing to bet some pretty good money that NO ONE around you is going to have a blue and green ombre short cut for the fall or winter. 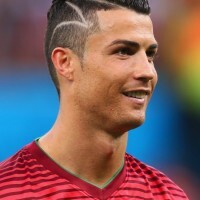 Why not be the trendsetter?